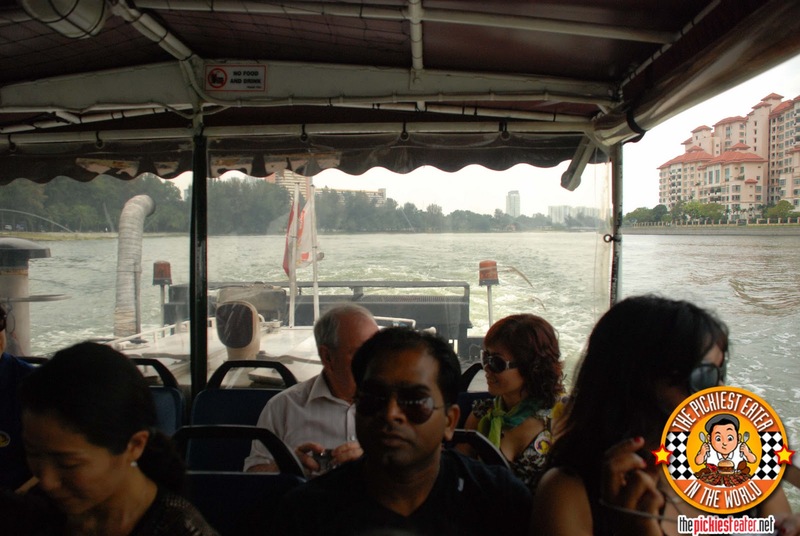 THE PICKIEST EATER IN THE WORLD: SINGAPORE DAY 1: BY LAND AND SEA ON THE DUCK TOUR! SINGAPORE DAY 1: BY LAND AND SEA ON THE DUCK TOUR! 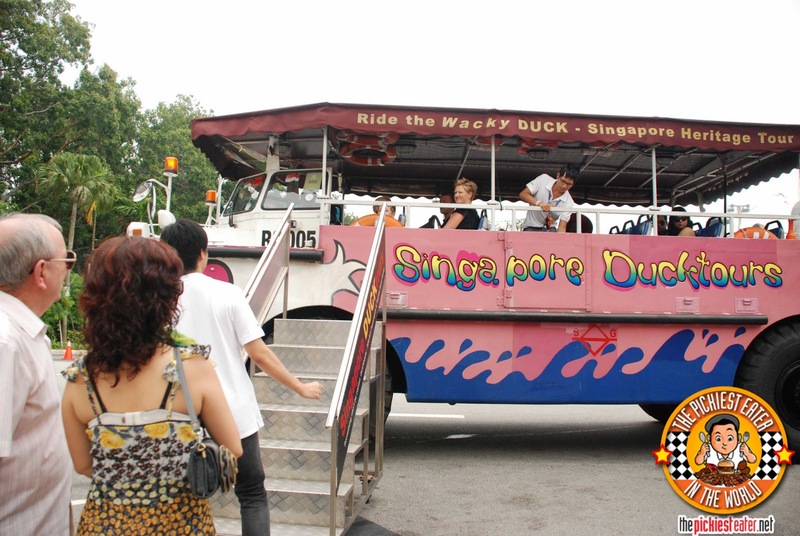 THE PICKIEST EATER GOES ON THE DUCK TOUR IN SINGAPORE! from richiez168 on Vimeo. As soon as we arrived in our "hotel" in Singapore (I use quotation marks because.. well.. if you saw our room, you'll know what I mean) I spoke to the resident "Tour Specialist" for suggestions on how to go around the city. 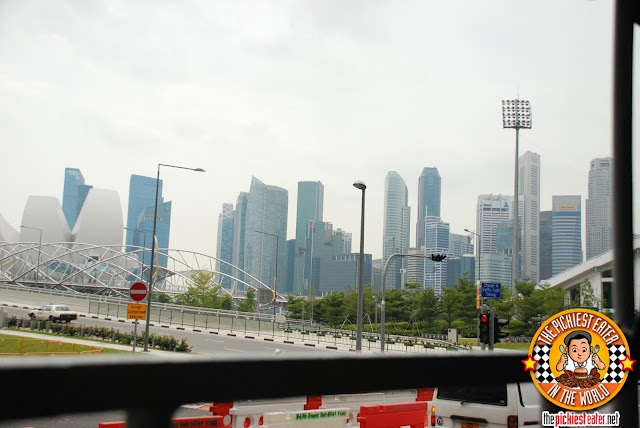 (We didn't really have any plans on how to go around, so we thought we'd just wing it, since everyone was saying that Singapore is so small, its easy to get to where you need to go) If I wanted a quick tour of the city to give me an idea of the places I could go to in the next few days, he strongly suggested I go on a "Duck Tour". Our starting point was the Singapore Flyer arcade and we would end in Suntec City Mall. 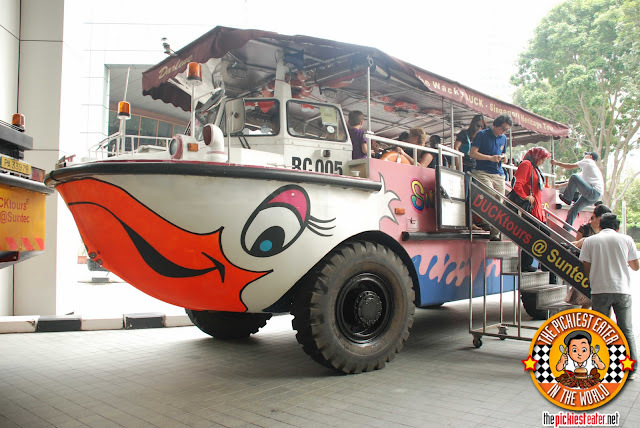 The Duck Tour is actually one of those Amphibian Military vehicles that was dressed up to look like a Tour Bus gone wild. 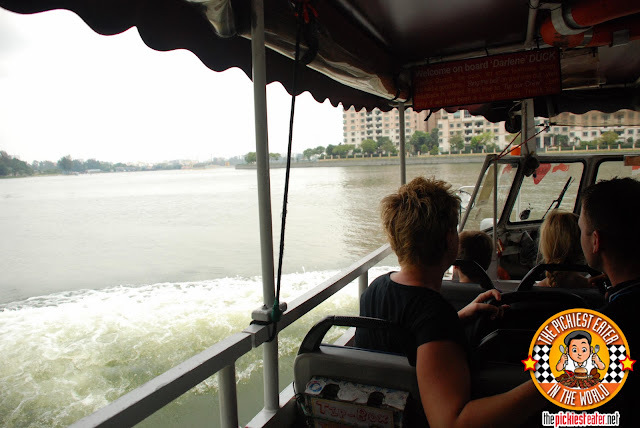 You are taken around the streets of Singapore in this open air (Although there's a roof top, unlike the Duck Tours cousin, the "Hippo Tour" which features a city tour in a double decker top down bus) muscle machine, that takes you on a drive IN the Singapore River. Not along it. In it. Pretty cool! I think this is a better experience than just your average tour bus. How many times do you get to ride into a vehicle that'll go straight from the street, and into the river? (If you say often, then you must be a redneck) So we got a quick overview of the city, with a brief history of different locations that we were curious about. The tour guide was actually pretty good, and he managed to get our attention. Rina in fact, bought so "Quackers" from him (little toys that when you blow into it, it makes a "quacking noise" like a duck) supposed to be for Schatzi (But apparently he's deathly afraid of it). But considering we were awake since 3am, I don't think it was really his fault we fell asleep in some parts of his tour. 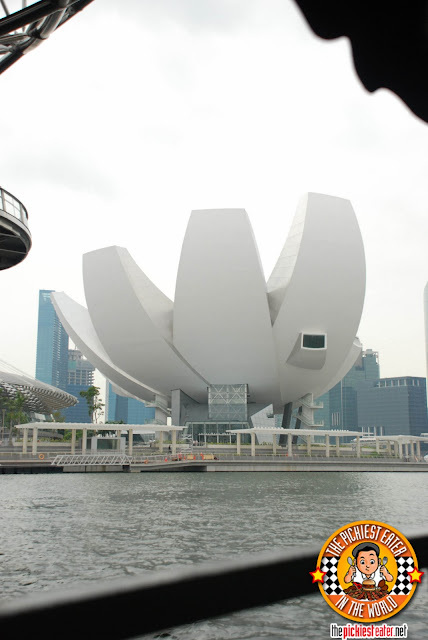 It's awesome how Singapore buildings are conceptualized. They come up with the concept, and try, as close as possible, to re-create it, down to the architecture and structure of the building. This building still under construction, but it's supposed to be based on a turtle. I don't see it. 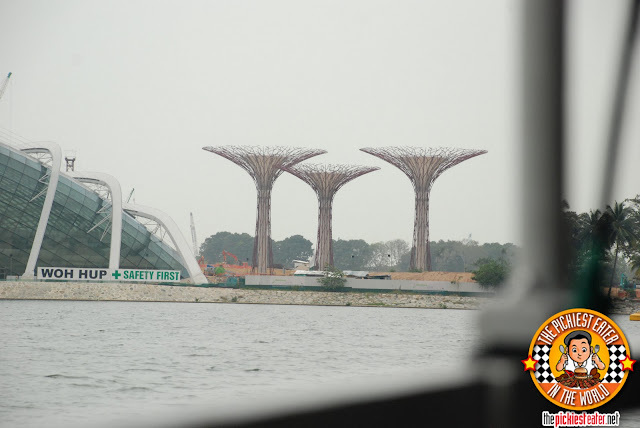 Three "Super Trees" are going to be placed where those three stumps are. The tour guide asked if anyone could guess what was the inspiration for this building, which turned out to be the ARTSCIENCE Museum of Singapore. Just when I was about to yell out "BASEBALL MITT! ", he says "Lotus Flower." Which.. umm.. yeah.. was my next guess.. 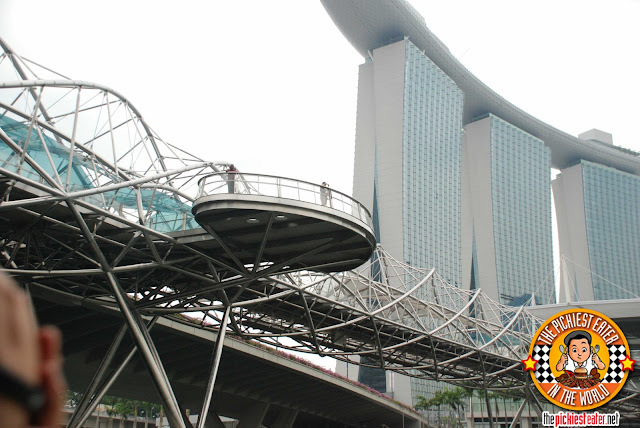 If SpiderMan designed a bridge, it would look like The Helix Bridge.. I didn't get to go on it, but if theres a walk-a-lator on this, its even more awesome. 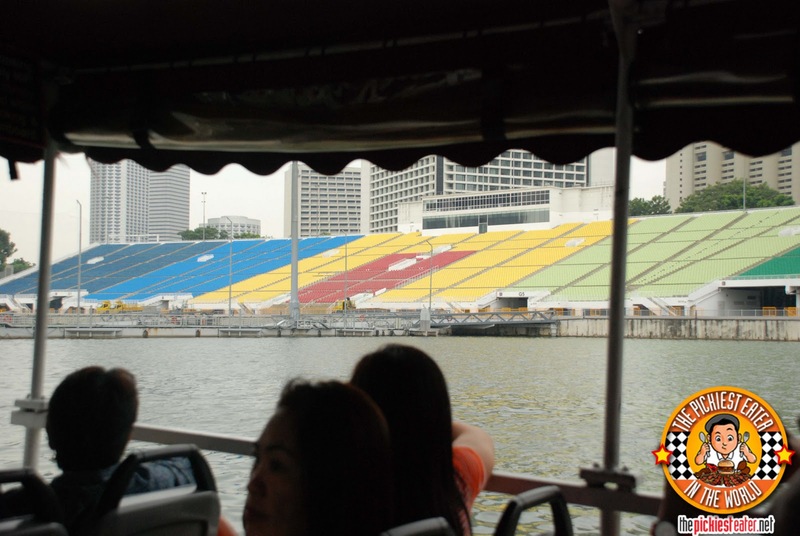 The Marina Bay Sands was, in my opinion, the most impressive structure that I had seen in my short stay at Singapore. 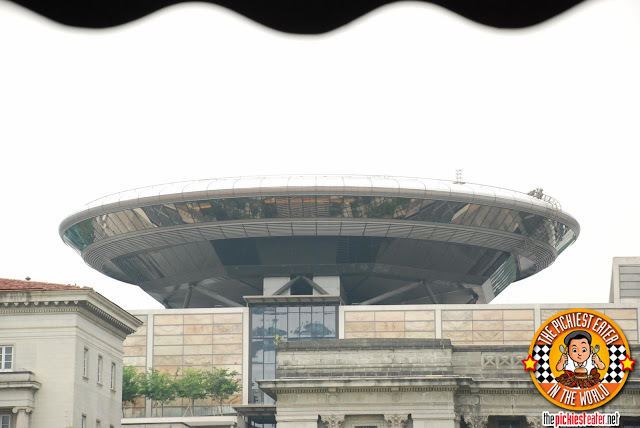 I'm not sure exactly what the design concept was, but all i know is that It looks like a luxury liner that is perched up above three buildings. The top part is the "Sky Garden" that gives you an amazing view of the city. Out of all the places in Singapore that I wasn't able to go to, this is perhaps the one that I regret not being able to go to. 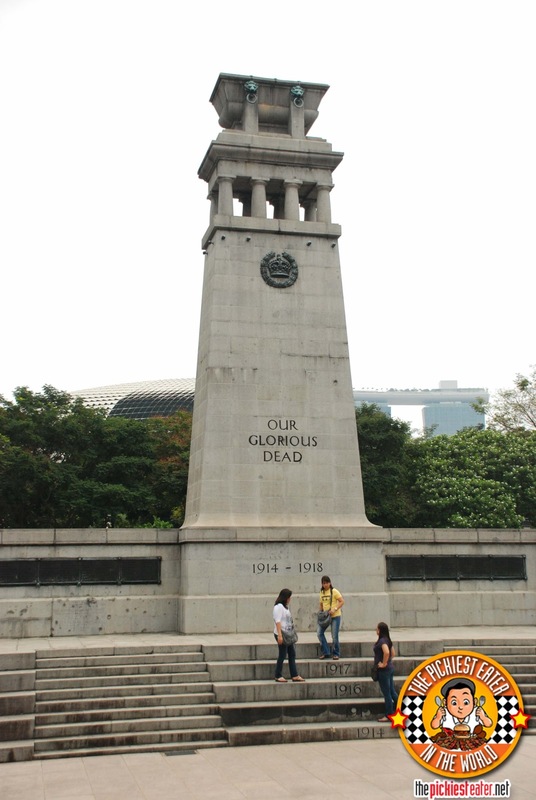 The Cenotaph honors the 124 British soldiers born or resident in Singapore who gave their lives in World War I (1914–1918), with a second dedication added in remembrance of those who died in World War II (1941–1945). Lightning can't strike twice, you say? 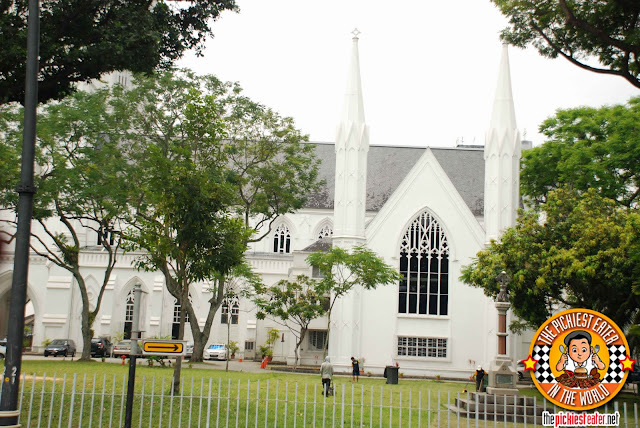 Tell that to the people at St. Andrew's Cathedral- the place that got damaged not once.. but TWICE by lightning strikes. The very impressive Singapore Cityscape. No smog in sight. This Duck Tour is a great idea for SIngapore, but I doubt it would ever work in the Philippines. Can you imagine this big craft rolling down Edsa? First of all, it's gonna be hot as hell, and it's very likely they'd get stuck in traffic. Not only that, I can't even begin to think of what tourists would think if we took them down the putrid Pasig River in it! You know what pissed me off about this whole tour? 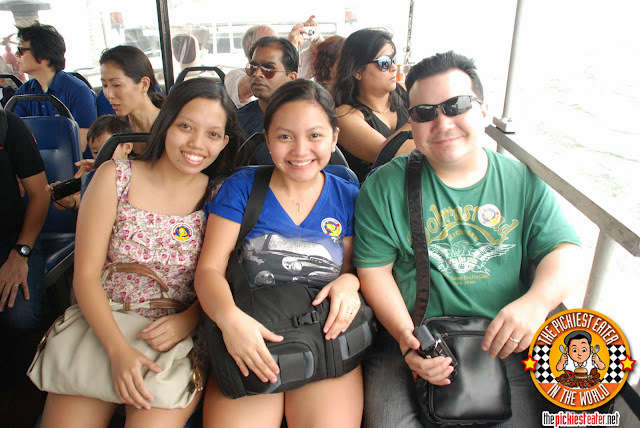 Not just the tour, but my whole trip to Singapore in general. 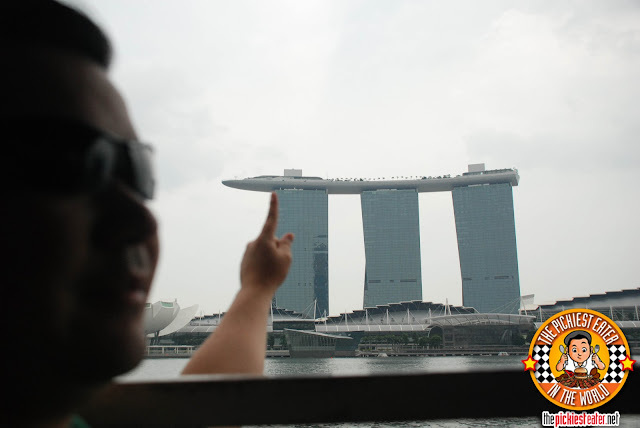 I have been waiting for months- nay, YEARS to go to Singapore, and I was always told to get my picture taken at the Merlion, which happens to be the most popular symbol of Singapore, for good luck. Guess what? 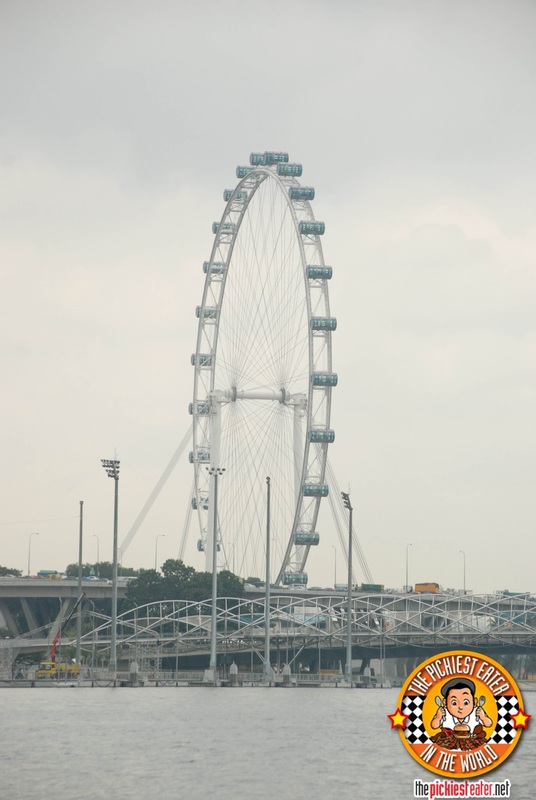 On the week that I decide to go to Singapore, The Merlion is closed to the viewing public for "maintenance"! How much of a bummer is that?!?! 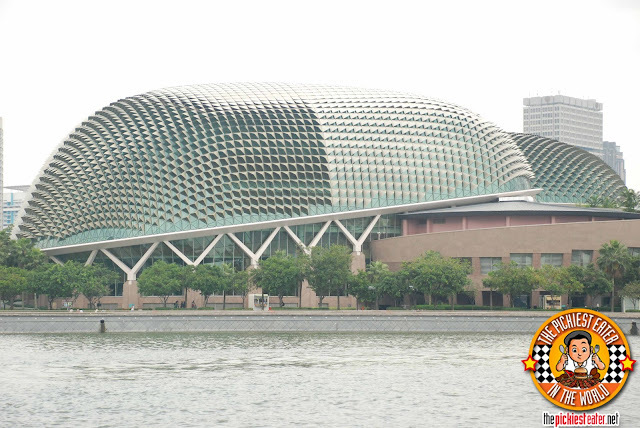 After the Hour long trip, which we really enjoyed, we ended back in Suntec City Mall. It was only moments after entering the doorways of Suntec Mall when my jaws would drop to the floor at the sight of..
talagang kailangang may cliff hanger! 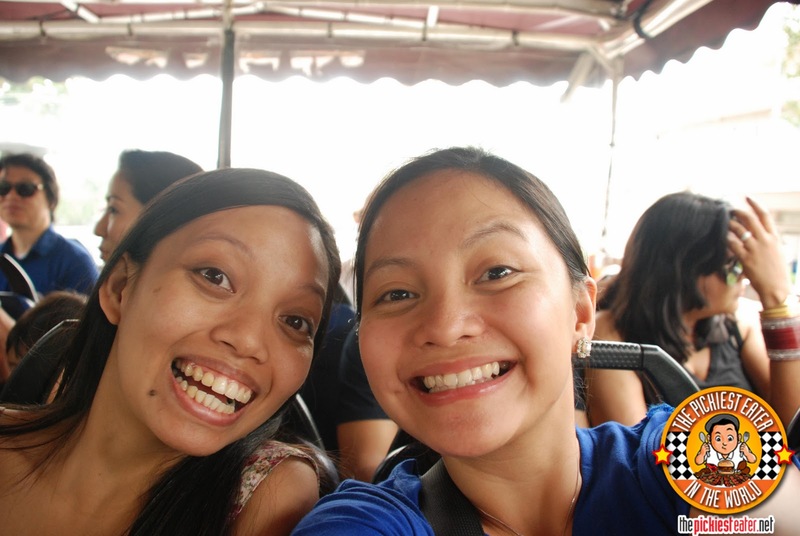 para lang knots landing and falcon crest (uh-oh, i'm dating myself!!! disclaimer: my mom watched those shows religiously!!!) 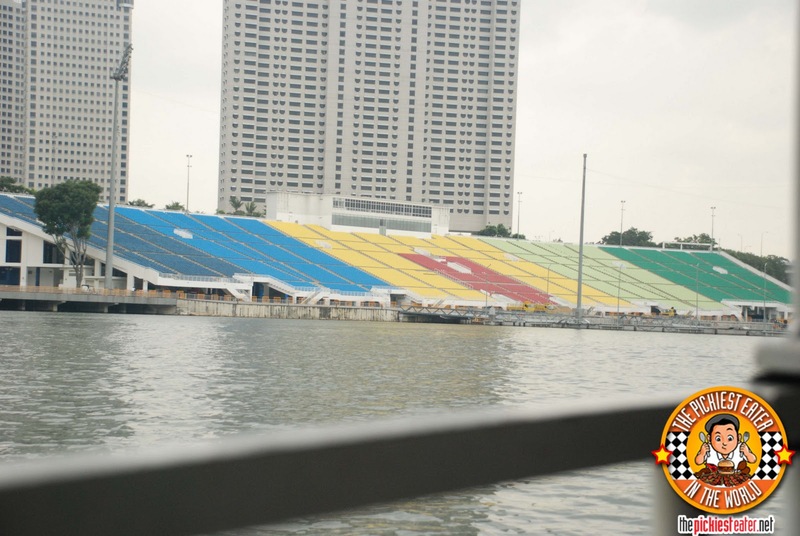 nung unang panahon!!! Haha Rox! 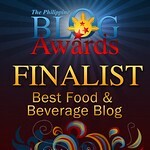 adding a little drama to my blog hehe.. I wasn't so much a Knots Landing fan as I was a Nicollette Sheridan fan hehe..
just came back from SG last march 16. i was pretty bummed too when i found out that the merlion was under maintenance. boo! Bad trip, right?? To think I booked my ticket almost 5 months ahead.. talk about bad luck hehe..